Any pizza, any size £9.99 delivered or £7.99 if you collect! Normally the 'collect' prices vary by store, some have £6.99 or even £5.99! Yes! I love it when these deals come round. Now I know what I'm having for tea. Only £6.99 collect for me too. Cheers! The ribs are pretty good for what they are too Big portions!! When there's five people in a household this seems like a huge rip-off. Would have to spend close to £50. lol Of course if you are living on your own or with one another, then its alright. How do you get the collection to £7.99? I've done an order and it's £16.99! How do you get the collection to £7.99? I've done an order and it's … How do you get the collection to £7.99? I've done an order and it's £16.99! 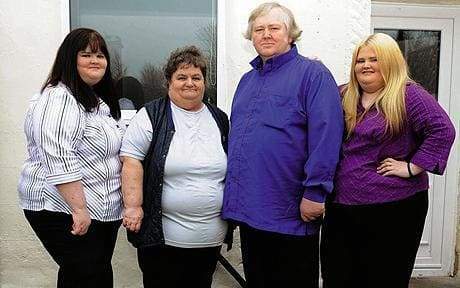 When there's five people in a household this seems like a huge rip-off. … When there's five people in a household this seems like a huge rip-off. Would have to spend close to £50. lol Of course if you are living on your own or with one another, then its alright. That's why they invented salad. dominos is like DFS, they overprice so they can slash in half and still make a killing. That said, nice pizza and 8 quid is about right. I was going to add this again but you have! Have some heat for the snow! Can't you read? This isn't pizza hut. Maybe he just referenced Pizza Hut as a price comparison, why be an obnoxious tw*t about it? none of the codes work? £9.99 Delivery / £10.99 Collection at my store again. Grr! Very nice pizza, reheats well too. Also check out their new garlic bread, it actually tastes good unlike the old horrible garlic bread which tastes like a tomato pizza. I only ever have a Domino's now when this deal comes up. Who cares about calories when these are the best pizzas you can get! can I get this tomorrow and use a two for Tuesday? you cant get it on 2 for tuesdays, thats full menu price only. I suppose that cooked itself? No. You have to pick one or the other. £10 each or £16.99 for two. 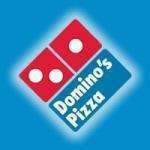 We have dominos from time to time- but only ever when its on offer! I think you'd have to be insane to pay £16.99 for a large pizza- either that or be on 100K salary. They cook it there actually, so errrr, it doesn't quite cook itself. 5.99 at ours! eez there lad! Are you serious ???? we are a family of 5 and there is no way we couls eat 5 large pizzas, even if we ordered three there would be some left over and we dont look like either of those pics thank goodness. Why do they say any size as if you're going to choose a other than large? Why would you get a medium or small when you could get large for the same price? ......didnt need to cook it! they even asked how i wanted it cut 6 or 12's lol ...Dominoes never asks that! Why do they say any size as if you're going to choose a other than … Why do they say any size as if you're going to choose a other than large? Why would you get a medium or small when you could get large for the same price? To avoid someone pointing the finger and suggesting they encourage unhealthy eating.